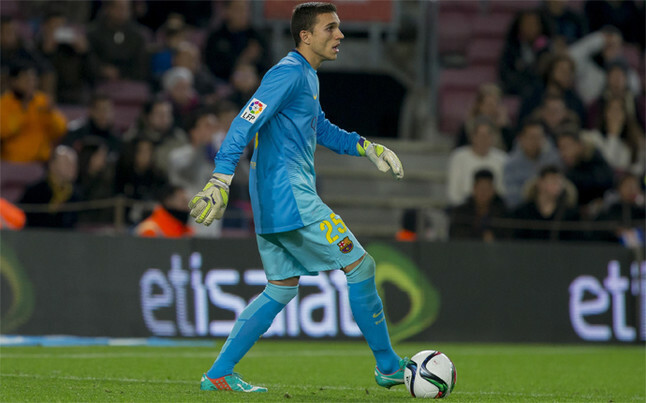 Former Barcelona keeper Jordi Masip has completed a move to Real Valladolid, the Segunda club have confirmed. The 28-year-old stopper left Barca earlier this summer after 13 years with the club, breaking into the first team 2014 but playing mainly as a third choice keeper. Plenty of La Liga and Segunda clubs have since shown interest but it is Valladolid who have been quick to complete deal and agree a three year contract. The Segunda side are now entering their fourth consecutive season in the league, having failed to gain promotion back to La Liga last season when they finished 7th, missing out on the promotion placed on the head to head rule to Huesca. The arrival of Masip is likely to see him become a starter with keepers Pau Torres and Isaac Becerra expected to be second and third choice, respectively. Valladolid have also signed Alvarado, Montenegro and Luis Suarez as part of an agreement with Premier League side Watford, which is similar to that of the English side’s deal with Granada where players can gain experience on season long loan deals.